Just Like Family Home Care just recently launched a new company called Just Like Family Concierge Transport Services. We now have three vehicles services clients throughout Southwest Florida (and even the East Coast!) – The response has been incredible and Jacob and I couldn’t be more thrilled! “We had an extra early flight and had to be picked up at 4:30 am. It was rainy that morning so our driver arrived a few minutes early to ensure that we had plenty of time to make our flight. The vehicle was very neat and clean and even had a bottle of water for each of us. Extra early morning conversation is always a hard one to gauge, but our driver handled it perfectly. Whether you want to go out to dinner or to the other coast, Concierge Transport Service Will Take You There. Categories: Concierge Transport Services, Just Like Family, News, Uncategorized | Tags: affordable naples transportation, airport, concierge transport services, just like family, just like family concierge transport services, just like family home care, naples transportation, Southwest Florida International Airport, transportation from naples to miami | Permalink. Noodles Italian Café and Sushi Bar, a locally owned restaurant at Mission Plaza in Naples, will host a fundraiser to help support Southwest Florida Seniors in need on Wednesday, May 14, from 5:30 p.m. to 7:30 p.m.
Just Like Family Home Care, a family-owned home care company servicing seven Southwest Florida counties, is celebrating Senior Citizens Month this May and partnering with Noodles to present a celebrity bartending night. The event is designed to raise awareness of the growing need to help seniors, especially during the summer months. The cost for one ticket will be $20, and will include a variety of foods, plus one free drink ticket. Tickets for the fundraiser may be purchased at the door. $10 from each ticket and tips raised by the celebrity bartenders will be split between St. Matthews House and Goodlette Arms. Guests are also asked to bring one new item that can be donated to Just Like Family’s Senior Collection Drive. Throughout the month of May, JLF is collecting items for seniors. Suggested donations include socks, shampoo, pajamas, games, glasses, sweaters, blankets, stamps, wheelchairs, walkers, medical supplies and personal hygiene items. In June, the donations will be distributed to St. Matthews House and Goodlette Arms, a low income, housing apartment for seniors subsidized by the federal governments HUD. 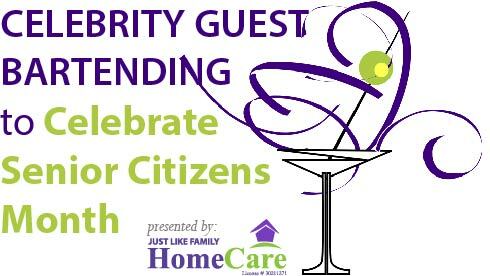 For more information, contact Just Like Family Home Care at 239.431.6661 or visit justlikefamilyhomecare.com. Categories: Event, Fun, Just Like Family, News, Senior Month, Uncategorized | Tags: Celebrity Bartending, charity, Fundraising, Goodlette Arms, Noodles, senior citizens, Senior Collection Drive, Senior Month, seniors, St. Matthews House | Permalink. May is just around the corner and that means it is time for Just Like Family Home Care’s 2nd annual Senior Collection Drive. Join JLF as we celebrate Senior Citizens in My. During the month of May through June we are collecting NEW items to distribute to Seniors in need in Southwest Florida.Last year the drive was a huge success because of our partners’ generosity and support. We ask that you participate this year by helping us collect as much as we can for our Seniors. In June, items will be distributed to St. Matthews House and Goodlette Arms. I talked to a spokesperson with St. Matthews House earlier this week and I am told the summer months are when they’re in the most need. People are so generous around the holidays, but our hope is that this Senior Drive will spark giving year round. Last year we donated more than 50 boxes worth of items and I am confident we can surpass that this time around! How can you help? 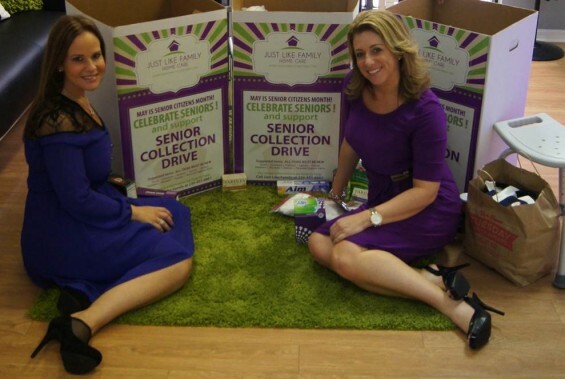 Create your own Senior Collection Drive. We have marketing materials and custom boxes available. When your box is filled, simply phone us at (239) 431-6661 and we will pick up your collection. Thank you for your help and support and we look forward to working with you in the coming months! Categories: Just Like Family, News, Spring, Uncategorized | Tags: aging, blog, charity, elderly, florida, just like family home care, senior, senior citizens, Senior Citizens Month, Senior Collection Drive | Permalink. Our slogan at Just Like Family is: “Just Like Family: Where your family is our family, too.” We always say that we treat our customers like family, but it goes hand in hand with our employees and caretakers. As a small business, it’s a challenge to find loyal, reliable employees, which is why Just Like Family feels so blessed to have not one, but two employees celebrating their five year anniversaries with us. Michelle Krumm began her Just Like Family career in 2009, working as a Sales Representative prior to being promoted to Regional Sales Manager three years ago. Krumm is proud of how much growth the company has seen in the last five years. Her job is to work directly with sales reps out in the field in Lee and Collier County, working to train them in order to grow the business and expand Just Like Family’s territory to Charlotte County. Her efforts are evident as the company now has 17 employees. When Alissa Mitchell started at Just Like Family in 2009 she never imagined the growth the company would see in just five years. When she started, she did everything from payroll to staffing. “We were four people. I was excited. Michelle and I started two weeks apart. I remember discussing how we’d like to see the company grow, but it happened so quickly. I can’t believe we have 17 people in this office today,” says Mitchell. Categories: Event, Just Like Family, News, Uncategorized | Tags: Allissa Mitchell, job, jobs, just like family, just like family home care, Michelle Krumm, Naples home care, senior, senior citizens, seniors | Permalink. Spring “sprung” back on March 20, but it doesn’t really start feeling like the season until April comes around. Once it’s April, you can really feel the change in the air (and the air finally getting above freezing up north!). Spring brings spring rain, spring flowers, and, of course, spring cleaning! It’s a great idea to clean out the old living space once a year, and make certain you aren’t drowning in superfluous flotsam. When you’re older, it can be very easy to let decades’ worth of living take over your home, and be lacking the physical capabilities to do something about it. 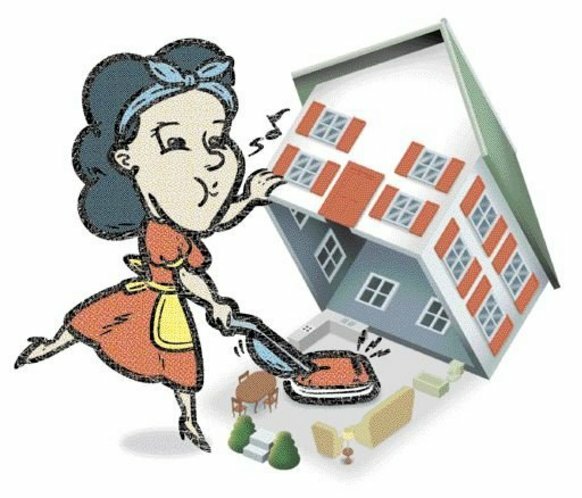 You may not even be able to keep up with simple housecleaning chores throughout the year because of poor health or mobility, making that annual purge all the more important. So, where do you even start? And how do you stay safe while you clean? The first thing to do is make a list for yourself of what you’re going to be cleaning, so you can keep it all straight and make sure you get to everything you want to. Doubly important is a list of safety tasks to make sure you’re keeping yourself safe while you clean, like making certain hallways are clear of clutter that you could trip over, getting rid of expired food or medications, and making certain bulbs in lights and batteries in smoke/carbon monoxide detectors are up to snuff. Once you know what you’re going to be cleaning, don’t try to do it alone! Get your friends and family to help you. Not only will this make it take less time, it’ll make the effort far safer, and far more fun. Don’t overexert yourself, and never lift heavy objects on your own! And remember, you’re never alone: many retirement communities even have “cleaning clubs” to take care of these sorts of things as a community. Use this opportunity to be social and make stronger connections with your loved ones. Cook for everyone and play bouncy music while you work to help pass the time and make the affair a positive experience for everyone. Are there piles of clutter in your home? Start there! Organize those large piles first, don’t just go around them. You can’t very well be sweeping the floor with piles of magazines and knickknacks in the way! It can be hard to let go of some things, but you should always be ready for the future. Use this opportunity to throw away now-useless items that are just taking up space. This will reduce dangerous clutter, and also get you ready in case you have to move to a smaller home in the future. If you can’t bring yourself to throw away something, but know, in your heart, you don’t need it, give it to a loved one for safekeeping instead. Scrub and polish every surface, and sweep every floor. Make sure there’s nothing left that could cause a fall in the future, and cover any potentially slippery surfaces with a rug. Before you wrap up the cleaning, double-check those bulbs and batteries, and make a note of anything you need, like new medications, replenished emergency supplies, fire extinguishers, and lists of emergency contacts. Don’t just clean, make sure you’re prepared. Categories: Advice, Spring, Tips | Tags: batteries, carbon monoxide, carbon monoxide detectors, clean, cleaning, clutter, elderly, emergency contacts, emergency kits, family, floors, friends, living space, medication, medications, seniors, smoke detectors, Spring, spring cleaning, supplies, sweeping | Permalink.